On March 8, 2014 one of aviation history's now greatest mysteries began to unfold with the unusual circumstances surrounding the disappearance of Malaysia Airlines flight MH370 with 239 souls on board. The Australian Transportation Safety Bureau assumed organization of a massive search of the ocean floor. 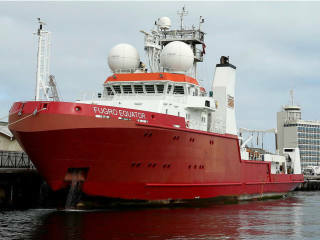 They were contracted with the FUGRO group, a private deep-sea search company, to conduct a search exceeding 23,000 miles in waters of depths of up to four miles. This effort became the largest and most expansive search in aviation history. This captivating presentation will illustrate the little known equipment and science employed in deep-ocean scientific, commercial, and military projects as used in the MH370 search.